Why do cats “treat” itches by scratching? Is scratching itches harmful for felines? Known as one of animals that are both grooming and self-groomers but why cats scratch itches and accept possibility of messing their look. Everyone who raise cats has ever seen their pets deep in scratching themselves. The actions of scratching themselves might be mistake of their habit of groomers, on another hand, because of itches. Itches create irritation in every area of skin except nowhere, the irritation can come to serious or simply disappear by scratch. Even though they are generated from different and hard-to-stop factors and as a reflex, scratch is temporary solutions to get certain results. There are a lot of sources for itches. In medical knowledge, they belong to dermatological diseases and only turn up on skin surface with different versions. 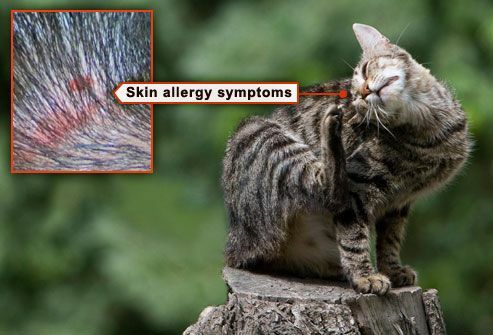 In cats, or even other kinds, itches come from both interior and exterior factors which includes bugs or medication formula or mental issues all leading cats to skin irritation and vulnerability. Fleas are found in most cats on earth regardless of indoor or wild individual. These small and tricky bugs can jump very high in compare to their size and attach themselves to any location at possible distance. Countless fur in cats is ideal hiding and tacking place for all those. 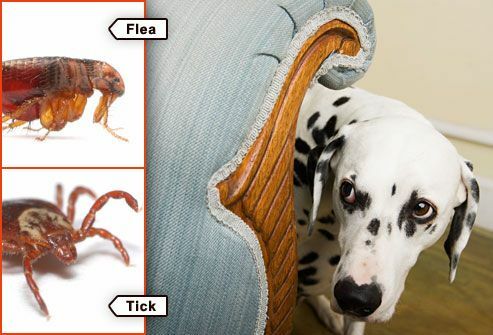 Besides, other bugs living on cats may include ticks or mites. The common among these parasites are bites. By sucking animal blood then hiding under thick layer of fur, cats cannot remove them by themselves but only chewing, matting or even scratching to reduce itches. Allergies originate from many sources. If problem come from your cats living condition, people can watch and notice from their behaviors to certain foods or place. Nutrition in strange foods or brands may cause dots and itches, consequently, if you feed cats with strange formula, it is better to check some most popular allergic factor such as nuts, dairies. If felines are under any medical treatment, ingredients in medicines may contain some chemicals which cause vomit or skin allergies- itches. Sometime, dusty and messy living environment can be one of itches source. Because covered by dirties all day, feline skin will be grubby and itchy by unidentified sustains. Moreover, chemicals in cleaning fluid or house spray might properly not be compatible with cat sensitive outer skin. Dry skin happens when cats are in poor diet or just because of seasons. Dry skin is irritable from very first symptoms. Skin without enough moisture will strain and hurt, overstretch will create flakes and dead cells dropping that stimulate itches. Some dermatology in cats such as ringworm, ecpet or sporotrichosis……cause not only pain but itches, these cases can come from diet or living conditions where cat skin are too weak and unable to defense foreign invaders. Humid and musty cat-cares will be generator of those horribly ruin skin or it can upgrade from skin allergies. Anyway, disease could not only cause normal itches but also health issues. Anxiety or boredom can make cats tempt to twiddle with their hair and rub their whole body, just for desire of activities and playing, boredom and inactivation may be one of annoyance to some animals. Cats will replace irritation of itches by another hurt and by scratching, they remove the feeling contemporarily. Scratching will remove fleas or flakes of fungus to stop itches right away, felines will simply assume all itches caused by bites of something. If in right situation, it could be the most effective therapy. if itches cannot be deleted right away after scratching, hurt and little pain form sharp contact between nails and skin will replace itchy feeling and ease the cats. Consequently, it is still the fastest choice for emergency until people figure out the true causes. When cats are itchy by anxiety or boredom, scratching itches will make them feel better by doing something instead. Some people will see their reflection here. By stimuli other sense into new job and motivate them work, felines will find excitement of new thing and forgot mental problem they just had. And cats “scratch” the itches in diversity of methods. Easily to see, cats treat them by their fingers, literally physical scratches to get the best feeling, remove frustration by hurt. Rubbing back or neck to somewhere is one of choices for hard-to-reach location. Actually, harms caused by scratching too much is plenty. Cats, in purpose of remove itches do hurt themselves in a direct way. In appearance, people find their cat messy and unmated fur as usual because of no desire for grooming. Furthermore, stretches and bleeding may appear after long and strong scratches. In a long run, these wounds may cause to another problem of skin. Circle will not stop if your cats do not aware of its potential dangers and pet owners do not stand up for solutions. There comes from sources of itches to solutions for itches. People should stop itches from their start. For example, people firstly should keep their living place clean and tidy up, spray or eliminate fleas and other possible parasites from pets to reduce their attack as much as possible. They also ought to take control carefully of cat diet for healthy and safe nutrition cats take in everyday, finding out allergic factors in food will need sophisticated observation and consideration. Besides, consulting vet in proper time, especially for medication will minimize risk of allergy or side effects to the smallest. In conclusion, the fact that cats scratch itches is normal and under reflex of dealing with any irritable regardless of kinds. Besides, scratches is an effective solutions for most of itches either at the time being or in long run. However, continuous sharp physical contact in sensitive skin, especially allergies or fungus area, will worsen situation and come to circle of itches. To minimize risk of itches, cat owners can revise from roots of symptoms to remove problems from beginning. On the other hand, scratching do not always matter from outer, it may generates form interior cat body and mental disorder or basically a groomer habit of matting fur. Come along with scratching will be licking or chewing the area of itching and s﻿﻿ome ﻿﻿other ﻿﻿behavior﻿﻿s to help rubbing.